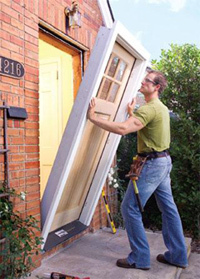 CK’s Windows & Doors of Idaho Falls offers expert advice and experience, regarding the right type of windows and doors for Southeastern Idaho’s climate. The Idaho Falls harsh climate can be very hard and destructive on your windows and doors. The wide range in yearly temperature can cause problems for homes. The record high for Idaho Falls is 104 degrees Fahrenheit while the record low is -29 degrees Fahrenheit. To battle this extreme weather, high quality doors, windows and basement window systems are essential. If you live in Idaho Falls and don’t know what type of window or door you need to keep out the cold in winter, or keep the cool in during summer, then give us a call at (208) 528-8070 and we can help you today.